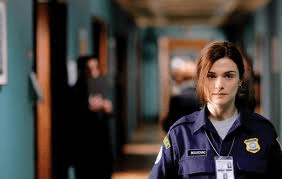 Inspired by true events, Kathy (Rachel Weisz) is an American police officer who takes a job working as a peacekeeper in post-war Bosnia. Her expectations of helping to rebuild a devastated country are dashed when she uncovers a dangerous reality of corruption, cover-up and intrigue amid a world of private contractors and multinational diplomatic doubletalk. Vanessa Redgrave and Benedict Cumberbatch co-star.